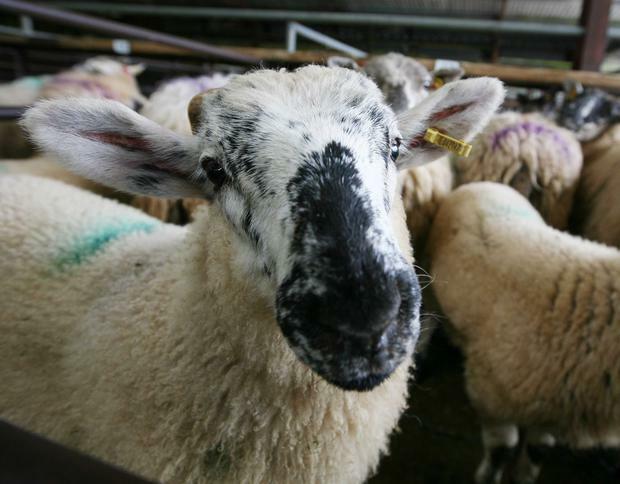 The recent rain is starting to bring a bit more hope to the sheep sector with lamb prices stabilising and quotes of €5.00-€5.15 on offer, partly due to the strong demand associated with the Muslim Eid festival. The store trade hasn’t established itself yet in the west and the drought is no doubt to blame, with grass supplies tight throughout the country. Many farms in the west which would usually have many lambs sold as stores at this stage still have them on the land. It will soon be decision time on whether to wait for the store trade to pick up or to finish the lambs on farm themselves. With limited grass supplies, perhaps using meal to supplement lambs is the next best option. It is important when selecting a ration for fattening lambs to stick with it. Chopping and changing the diet can upset the animals and prevents lambs from thriving. I build them up slowly starting with a small amount of meal (200g/head approximately). High cereal rations with barley, maize etc work very well for me. We sold the first of our batch of 30 mule wether lambs on August 1. These lambs didn’t receive any meal. They were grazed on after-grass and typhon for about two and half weeks after weaning. They were the strongest of the lambs and I was very happy with the way the lambs killed out. They averaged 19.9kg deadweight and graded U2,U3 and one U4, with the exception being one R3 grade lamb. I attribute the good grading to selecting Lanark type Blackface ewes with good conformation and also to selecting better bodied Bluefaced Leicester rams. The typhon was completely grazed after these lambs were sold and a bag of nitrogen has been spread on the field. This will now be rested for a few weeks to allow a regrowth. I have selected the stronger wether lambs and grouped them together for feeding. These are now being fed meal and will go onto the typhon once it has regrown. So far so good for the typhon. I would need to grow several more acres of typhon to be able to finish all my lambs off it. This is something I might revisit next year. It is also time to start preparing ewes for breeding. The Bluefaced Leicester ewes will be the first to go to the ram with the aim of lambing them down towards the end of February. These ewes have received mineral supplementation, a wormer and have been moved to quality grazing on the build up to the mating period. The replacement ewe hoggets on the farm have also been vaccinated with Enzo vax as a precaution against enzootic abortion. It has been built in as part of our flock health plan to prevent the disease. We have vaccinated all incoming replacement hoggets for the past few years. The vaccine is required at least one month pre-breeding. It is not effective after the ewes go in lamb. At the time of writing, we were preparing the Bluefaced Leicesters and Mules for the Tullamore Show. It is the last of the shows we will attend before the upcoming breeding sales. These kick off with the Mayo Mule & Greyface sale in Ballinrobe, a two-day event on August 24-25. The Friday sale will host the ewe hoggets and Saturday the ewe lambs. As always it is a busy time of year on farm preparing sheep for sale and preparing for breeding. I plan also to cut a few more acres of second-cut silage in the next few weeks. Tom Staunton farms in Tourmakeady, Co Mayo.